What Can Niagara Home Theater Do? Projector & Screen, Home Theatre, surround sound installation services for commercial or residential locations including in-wall 100% invisible speakers. Audio/Video troubleshooting for homes and business. Setting up your home theatre can be a confusing and challenging task. Done poorly, you will end up with a wire mess, badly-mounted LCD, plasma or LED and picture quality that is way less than what you expected. We’ve talked to a lot of our clients in the Niagara Region and their opinion is unanimous – home theater installation is a difficult job best left to professionals. 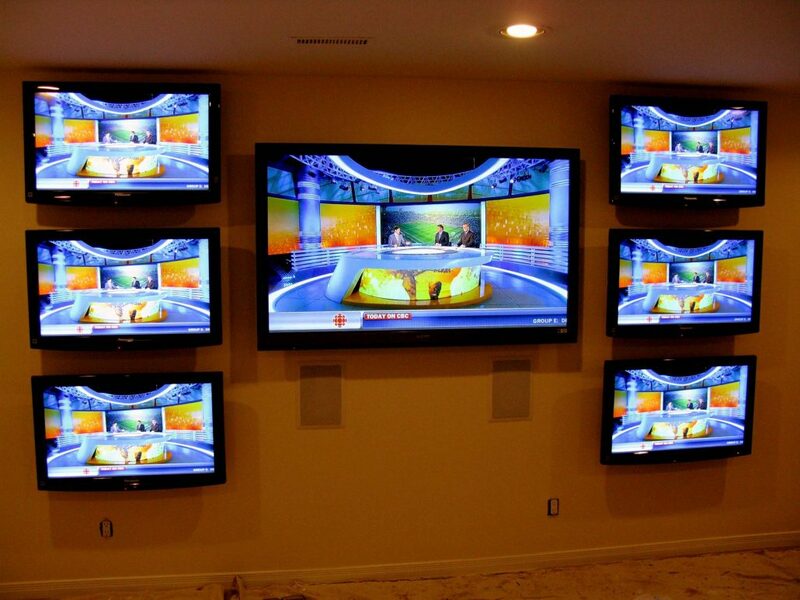 We conceal all of the cables and guarantee your HDTV Picture looks the way it should. Our installers are professional, highly-trained and bring a wealth of experience in the areas of plasma installation, HDTV, surround sound setups, whole-home audio, structured wiring and universal remote programming. More than installing your electronic components, our technicians will help educate you on getting the most out of your entertainment systems. We offer the following services for both commercial and residential clients. All installation work will be FULLY INSURED up to $2 million in liability! We carry many Home Theatre Products not listed here. CLICK HERE to book a meeting in the Niagara Falls, Niagara On the Lake, Fort Erie, St. Catherines, Welland or Port Colbrone area. Welland or Port Colbrone area.